Wood moves; there’s nothing you can do about it. Even after the tree is down, the wood has been dried, you’ve got it in your shop, and you apply finish, wood is gonna move. It’s a living, breathing thing. If you don’t allow for wood expansion, you’re going to have problems in the future. Problems being cracking, splitting, maybe even blowing a leg and rail assembly apart. Let’s not let that happen. Don’t glue a solid wood top to the rails in the base. Don’t screw the top in place, unless the screw holes have sufficient wiggle room to allow for wood expansion. Do use tabletop fasteners. They’re easy to use, and allow wood movement by sliding along a kerf in the rail as the solid wood expands and contracts. Don’t worry about plywood or other man-made slabs. They don’t have the seasonal movement that solid wood does. Wood only expands and contracts in one direction; perpendicular to the grain. Depending on the specie of wood you’re working with, it can move as much as ¼”, or even more. You don’t need to worry about expansion and contraction parallel to the grain. 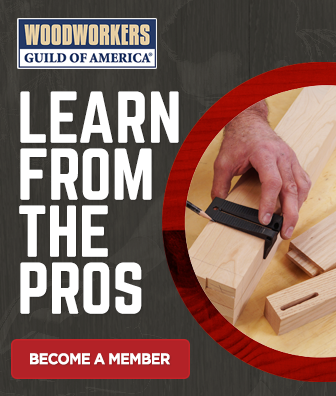 Hey, here at WoodWorkers Guild of America we want to help you do good work. This is just one example of the helpful shop tips we provide on a regular basis. Be sure you check out the rest of our archive. To describe wood in your shop as a “living, breathing thing” is totally incorrect. Long before a tree is felled a high percentage of the cells (the heartwood) are dead. The correct description is “hygroscopic”. 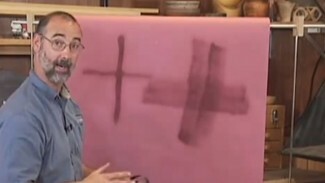 If the applied finish on a surface like the table top used in your demo is also constantly expanding & contracting laterally will the finish not crack with the constant movement eg something like a laquer ? Hi Arthur. Lacquer and other common finishing products have enough flexibility to them that they can accommodate the typical seasonal expansion and contraction of wood. So the question is how much down holding force? Loose so when I pick the unit up the top shifts, or snug enough it won’t move? Basicly how much movement force will a top provide, and I’m sure different types of wood move more depending how hard a wood it is. You want to tighten the fasteners enough so that the top won’t shift when you move it. Even with moderate holding pressure, the table top will still be allowed to expand and contract with seasonal movement. Just don’t tighten them with extreme pressure. What about plywood tops? I am making a couple of demi-lune tables, approx 36″ wide by 20″ deep. The tops are edge-banded with very thin veneer. Can I attach them to the rails with pocket screws, or should I allow for movement with plywood tops also? Hi Rick. Great question. No, you do not need to allow for movement with a plywood top. Ticket Would you consider a pocket hole screw at the midpoint of the rail? Hi Gary. A pocket hole screw would not allow for expansion and contraction, so I would not recommend this approach for attaching a solid wood top. So I’m going to assume that your concern would be adding a screw in the center of the rails that run in the same direction as the grain, is that what you meant or was your statement to mean placing a screw in the center of the rail with the slots for expansion, would instead of just maintaining the tables top centered, allowing for expansion in both directions on each side of the centering screw assuming the screw wasn’t tight enough to restrict ease of movement? I would think without being tight enough to pinch the surfaces together creating excess friction it should allow expansion and contraction while maintaining the tabletop position dead center preventing position creep over time from repeated cycles that may allow center to change. I’m not saying your wrong I’m just trying to glean what I can from your experience. As someone who’s repaired a lot of furniture, the Chinese furniture factories either need to know this or need to care. I’ve had customers who say, “We awoken in the middle of the night with what sounded like a gunshot. We came out and found this giant crack all down the top of our dining table. How would you incorporate this into a table with a round base, especially circular? If the shape is more of an oval or if the radius of the circle is large enough, then I would assume you just don’t put the clip all the way into the kerf so that it still has a little room at the tip to move within the curve? 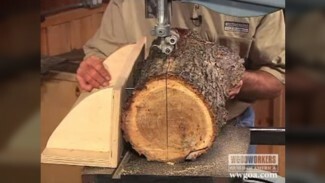 What about when you have a tight radius at the end that would be perpendicular (or a tangent line would be perpendicular) to the grain, for instance if you have a long narrow coffee table, sofa-back table, bar top, etc.–cut a deeper kerf (if possible) to give more lateral room for movement? Also, you said not to glue or screw the top to the table base, and in another comment you advise against putting in even a single screw in the middle–how is this different from breadboard ends, where you have said in other videos to glue only the center portion (center 1/3 or so) in order to allow for expansion at the edges? Wouldn’t a solid top and a top made from multiple pieces glued along the edges both expand and contract similarly? Why glue one in the center and not the other? Hi Matt. I think the idea is to allow a reasonable amount of wood movement in any direction that it could possibly move. You are correct in stating that you would pull the clip just partially into the kerf. You can make some guesses as to whether the board is more likely to expand or contract in the future based upon the season you are building in, but I just try to get it approximately in the middle if its travel in most cases and I’ve never had a problem. Cutting a deeper kerf is useful if you have the material to do so. You can install a screw into the middle of a rail on the end grain but not the long grain. You’re right, this is the same principle as a breadboard end. 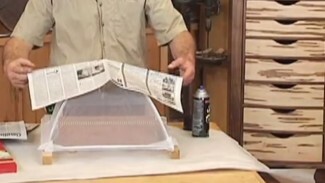 A top made of glue up pieces will expand and contract in the same way that a single board will. I’m just getting started on a sofa coffee table and am so glad I saw this video as the plans called for pocket holes all along the perimeter. One question I have though, the plans call for a lower shelf that is not quite as deep as the lower stringers. I’m guessing I should allow for the same expansion/contraction on the lower shelf as the table top itself. Would the best way to place the kerf in the middle section of the stringers be to drill press and chisel them? I guess I could alter the plans and make the shelf the full depth but I like the look it offers being slightly smaller. Hi Chris. If the shelf is solid wood, then you will need to accommodate wood movement there as well. 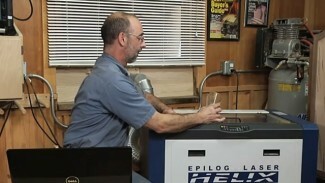 Your idea to drill press and chisel should work fine. NB Ticket 16848 Hi, what if I created a table top out of 2x6s, secured together by pocket-hole screws + glue (“farmhouse” style coffee table). Basically I have 7 2x6s side by side, with 2 other 2x6s on each end to create a square table top. I’m noticing pretty decent gapping starting to form between the 2x6s. Is this just a nature of creating tables in this way? Any suggestions for if and when I decided to give it another shot? Thank you for your patience. Are you able to send a couple pictures so that I can better assess what be happening? We have a beautiful dining table with a solid distressed top and a heavy metal base. The top seems to be made of 4 glued boards with 4 metal strips screwed across and underneath to each board and 3 threaded rods run through holes drilled in the boards and bolted on the exposed and recessed ends. So, this thing is seriously held together mechanically across the grain and has showed no signs of expansion or contraction in the 2 years we have had it. I am building another one for our sun room out of 2×8 solid oak floor joists that have been planed to about 1 3/4″ thickness and was planning on mechanically connecting these boards kind of like our other table, but maybe without the threaded rods. So, my questions are will our current table explode some day like someone below said their’s did and am I crazy to want to emulate our current table’s design which seems to be holding up? Hi David. Wood will always attempt to expand and contract with seasonal movement, so if you don’t take some measure to allow it to move, something will likely give at some point. It’s hard to know without actually examining this whether some accommodation was made, but I would advise against building a table that attempts to constrain seasonal movement.